Chino, Hitmaker, Popcaan, Mavado, Di Genius and more. 74 tracks of pure dancehall, reggae enjoyment from Tasha Rozez and the champion female sound, Gunz N Rozez. If looks could kill, Gunz N Rozez, the female sound system from Toronto, Canada, would ‘done the place’ as they say in the Jamaican dancehall. But in the heated atmosphere of the sound system business, looks alone don’t kill, music does, and Gunz N Rozez, led by Tasha Rozez, has the trophy and the skills to prove it. 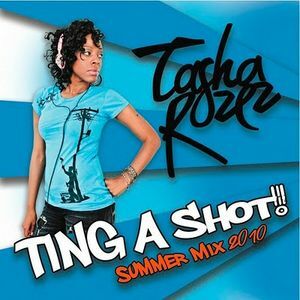 In addition to bragging rights to go with the first ever Female Sound Clash Champion trophy (2002) on the shelf, and crucial combinations with Kardinall Offishall (“Bad Like We Bad”) and Wio-k (“Footloose”) on the airwaves, Tasha’s mastery of a sharp lyrical flow put Gunz N Rozez on a different level.